I am so excited to be interviewing LIVE on WSUR, Worcester State University‘s radio station, TODAY at 3:30pm! My interview will be part of a weekly show hosted by New England Concert Reviews, a website and media company that promotes music in New England. Providing high quality live and CD reviews along with beautiful photography, NECR has become a staple on the scene for up-and-coming artists. You can tune in to today’s radio show by streaming online. Click here or follow the link below, and then click the “Listen Live” graphic that appears about 1/3 of the way down the page. This will open a new window, through which you can stream the show for free! Hope to catch you on the airwaves! 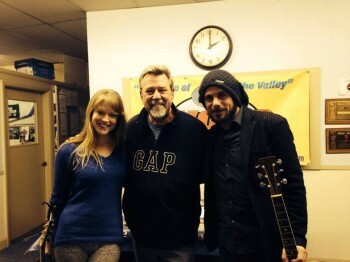 Today at 1pm, Bernardo and I are psyched to be performing LIVE on Lowell radio station 980 WCAP! We’ll be on the show Live at Jack’s Cafe, hosted by Jack Baldwin. He’ll interview us about this weekend’s New England Music Awards, and then we’ll perform a couple of tunes off my new album, Unbound. 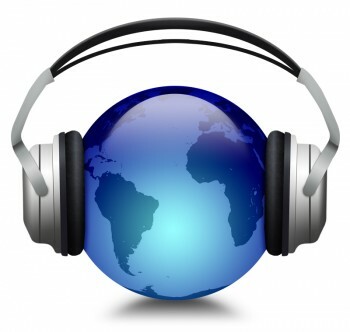 Tune your radio to 980AM or click here to stream live online! 1pm sharp! I am honored and excited to be featured this week on Evolvement Radio – always bringing you Good, Good Music! EvoRad is an independent radio station that features top local artists from all around New England. 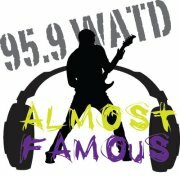 Affiliated with 30 radio stations across the U.S. and in 5 countries around the world, these guys are no joke! Promoting sustainability – they’re sponsored by organic superfoods company Amazing Grass and local brewing company Cody Brewing – and independence, these guys are a crucial resource and support for local musicians. This is the second time I have been featured in their Earth Tone Artist series – and man, it was fun! You can tune in to any of their partner radio stations this week to hear the show, or you can stream online anytime! 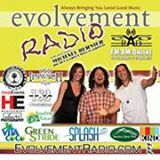 Just visit EvolvementRadio.com, and click the buttons (“Hour 1” and “Hour 2”) on the upper right to stream. A LIVE performance of a new tune, “California,” off my new album airs at the end of hour 1 – check it out to get a preview of the new record! Tonight, one of the songs off my EP The Tuscan Sessions will be featured on Boston radio station 92.5 The River! Tune your radio to call numbers 92.5FM, or click here to listen live online from anywhere. I’m set to air at 10pm – so tune in, rock out, and call up that DJ and let her know you like what you’re hearing! I am very excited to announce TWO radio appearances this week! One will feature Dogtown, the title track off my latest EP, while the other is a live in-studio performance. Tune in and rock out – more info below.